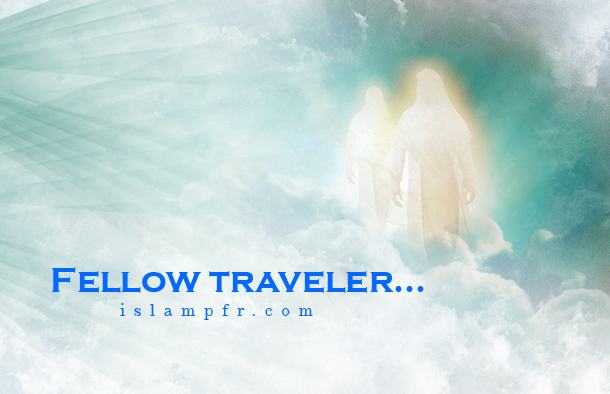 Imam Mahdi ᴾᴮᵁᴴ and prophet Jesus ᴾᴮᵁᴴ will return together, they are friends; they are on the same side. One might say to us that “You claim Jesus ᴾᴮᵁᴴ will say his prayers behind Imam Mahdi ᴾᴮᵁᴴ .” You know what? Ignore this; when Jesus ᴾᴮᵁᴴ returns, Imam Mahdi ᴾᴮᵁᴴ will also return. Who becomes the chief or the assistant does not matter to us. They are both leaders to us. I, as a Muslim say Imam Mahdi ᴾᴮᵁᴴ is the leader, you, as a Christian say Jesus ᴾᴮᵁᴴ is the leader. When they return, we will ask those great honorable men who the leader or assistant is? Whatever they say we will accept.